CHAPEL HILL, N.C. – The Purdue baseball team saw one its most successful seasons ever come to an end Sunday. Jacson McGowan and Ben Nisle connected for back-to-back home runs to help No. 27 Purdue baseball build a 4-0 lead, but No. 21 Houston scored the final eight runs of the game to win the NCAA Regional elimination game 8-4. The Boilermakers ended their successful season with a 38-21 record, good for the second-most wins in program history. They held the lead at one point in all three of their NCAA Regional games this weekend. Even after dropping two of three in Chapel Hill, Purdue finished the postseason 4-3 while also posting a 22-5 record since April 20. McGowan and Nisle homered to right center and left field in the fifth inning, accounting for the Boilermakers’ first set of back-to-back home runs since Drew Madia and Kevin Plawecki in April 2010 at Illinois State. But Houston (38-24) outscored Purdue 17-2 from the fifth inning through the end of the game over the course of the two meetings this weekend. The Cougars scored nine unanswered to win Friday’s game 9-1. Saturday’s game was tied 4-4 in the bottom of the eighth until UH hit for the cycle while sending nine men to the plate in the frame. Houston’s all-time home runs leader Joe Davis led off the eighth inning with a solo shot to right field to break the 4-4 tie. The Cougars blew it open with consecutive two-out RBI triples, both of which eluded center fielder Skyler Hunter by only a few inches. Nisle doubled, homered and walked twice in the final game of his very productive freshman season. He finished the NCAA Regional 7-for-11 with three extra-base hits, five RBI, three walks and three runs scored while not striking out. He reached base safely 10 times and represented Purdue on the All-Regional Team. McGowan and Hunter both had five hits and three runs scored for the weekend. Andrew Bohm worked 4 1/3 innings of one-run ball, surrendering four singles and three walks. The only run he was charged with scored after he left the mound in the bottom of the fifth. The right-hander struck out three of the first 10 batters he faced. Purdue turned four double plays, matching a season high. Second baseman Tyler Powers was part of all four. Bohm induced a ground ball double play in three of the four innings he finished. But the most significant twin killing was induced by Ross Learnard with the bases loaded and one out in the seventh inning. Shortstop Harry Shipley was initially drawn in on the play but was able to back up on the ball hit by Lael Lockhart, reacting quickly to make the tough play look relatively easy. In the top of the seventh, Evan Kennedy delivered a single to right field with two men aboard, but Hunter was cut down at the plate for the second out. The Boilermakers also could not further capitalize on a bases-loaded opportunity in the fourth inning. With two runs already across via an RBI infield single from Alec Olund and a wild pitch that allowed Nisle to score, Powers ran into a tag out from his counterpart on a ground ball to second base off the bat of Shipley. Powers had turned a similar double play to end the bottom half of the previous frame. Olund closed out his college career having reached base safely in 18 consecutive games, hitting safely in the last seven. Nisle and Shipley also hit safely in all three games of the regional. Nick Dalesandro walked twice Sunday to extend his reached base safely streak to 12 straight games. McGowan hit his 13th home run, establishing a new team benchmark in the BBCOR bat era (2011-present). However, the Boilermakers lost for the first time this season when McGowan went deep. Nisle’s seven homers are also the most by a Purdue freshman in the BBCOR bat era. The Boilermakers will have to bid adieu to their seven graduating seniors. Purdue will lose its top pitcher in Tanner Andrews. The former three-sport star at Tippecanoe Valley High School pitched in the NCAA Regional opener Friday night. He lead the Boilermakers this season in wins, innings pitched and strikeouts. 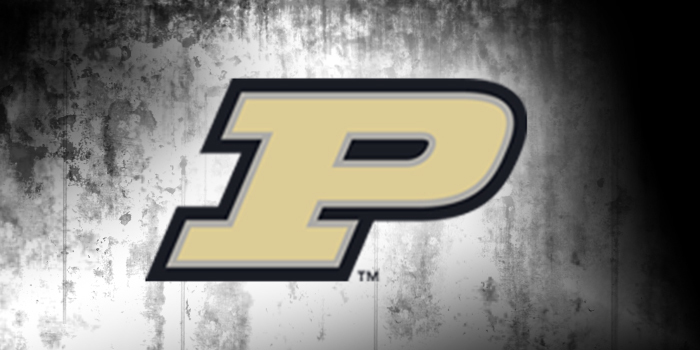 Evan Warden, Nisle, Hunter, Powers, and Bohm are among the Purdue players expected to return for the 2019 campaign.